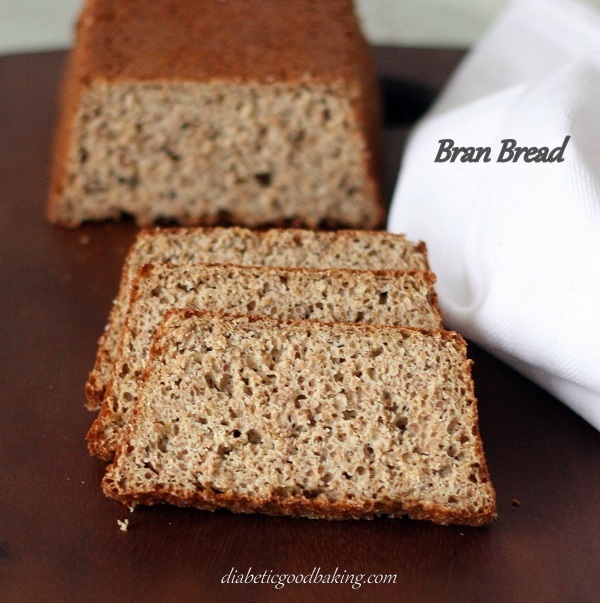 I’ve always thought that it is not possible to make a nice, low carb bread. I’ve never even tried to make one and just avoided eating bread as much as possible. The truth is that sometimes I miss it a lot and it's just convenient to have a quick sandwich for lunch without all the cooking and planning beforehand. This recipe is very simple and you don’t need a bread maker. You just mix everything well and that’s actually all. Perfect recipe for complete beginners and the bread is nice. It looks like a bread and taste like a bread. I’m really surprised it’s possible without using any flour. From now on I’m going to experiment a lot with low carb bread recipes. Line little baking form (19cm long and 8 cm wide) with baking paper. Pour the mixture into the baking form and cover with tea towel.Leave in a warm place for about 40 minutes to rise. Bake for 10 minutes at 200C and then for 15 minutes at 190C. Thank you Debbie :) Hope you will like my cake. Natvia should work in most cakes, but I must say xylitol or erythritol is very close to sugar, not only in taste but also the texture. Youre right though, with puppy around I wouldn't use it either. Yus, thats what I was thinking too! I'm going to have a go... even if it doesn't work I'm interested in the experiment! Shall report back!! By the way I love your site -- the blueberry muffins were too good! I exercised restraint and ate only two and froze the rest...shall defrost one later:) Can you please please put up more savoury items? Thank you! Hi Ewelina, Sorry i didnt explain myself in all the excitement:)) I DIDNT use natural whey in the end because natural whey is protein+cassein and whey protein powder (which i did use in the end) is the protein extracted. I also wanted to see the bread as it's meant to be, and I really can't praise you highly enough as its superb. If you want to know how to make natural whey, let me tell you...coz you might do wonderful things with it:)) Basically get your pint of milk (you are supposed to use full fat but I've done it with semi skimmed, you just get less paneer). So you bring to just under the boil, then add few drops of vinegar (Sarsons!) or lemon juice. You will see the milk part into curds and whey immediately. Then you get your muslin and put it over a colander and whole thing on top of a fresh saucepan. Por, so you cath the solids and the whey goes into your saucepan. Now tie up the muslin so you have a 'bundle' and hang this form your tap (Thats what my mum always did!) so the last drippy bits go in your sink. Its ready after about 3 hours and I suppose its an indian mozzarella, you can cut it. But more often it is then put under a weight to make it flat and discard even more whey form it, and then after another few hours you can cut it, fry it, make a curry with it. Indian people always tend to add the whey water into dough when you make roti, or to the water rice was cooked in. I guess some ancient Indian cooks knew the importance of that protein so they dint throw it away:) There will be step by step explanations bette than mine on internet, look for Indian recipes. Hi Ewelina, I just wanted to share with you that I sliced your super bread quite thinly (amazing that you can do this without a bread slicer, the bread is firm enough:)) -- and then froze four slices per small freezer bag. I have since taken slices out and put in toaster form frozen= Perfect. And,I have buttered frozen slices in the morning, added ham and cheese, and wrapped in foil = Perfect Sandwiches for lunch:)). So no only is your bread great taste, it also freezes beautifully. Well done! I made this yesterday and it is lovely. I've sliced it thinly and frozen it so I can have a slice every day. Very nice indeed toasted with butter. Thank you.